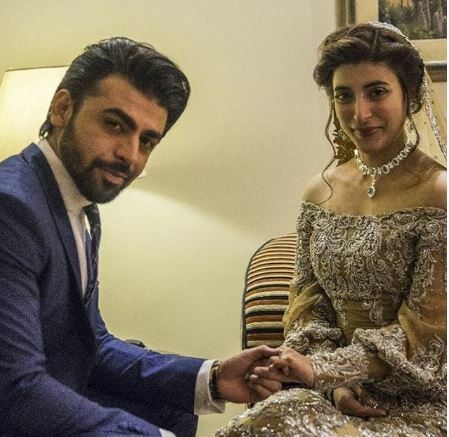 The most awaited wedding of Urwa Hocane and Farhan Saeed took the internet by storm, and we agree that these love birds couldn’t have looked cuter! 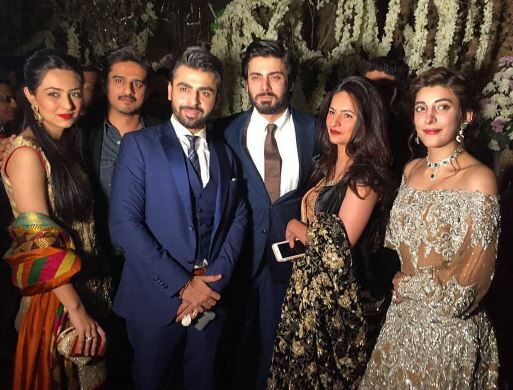 The singer turned actor Farhan Saeed tied the knot with his long term girlfriend Urwa Hocane, and the events from dholki to their shendi were kept simple yet super elegant. The trend of #UrwaFarhan was all over the social media, and the duo couldn’t be happier! This couple is honestly a personal favorite, whether it’s at public events or social ceremonies – these sweets steal the limelight. Let’s take a walk through their happy moments that will certainly make you go awww. It all began from this adorable proposal right in front of the Eiffel Tower, relationship goals! The fairy-tale bridal shower is probably on the list of every bride to be! Best friends take a hint. Sistaaaaaa ?? all L O V E !! ????????? #BridalShower #UrwaFarhan #Hitched #BFF #Soulmate ???????? @urwatistic ???????? 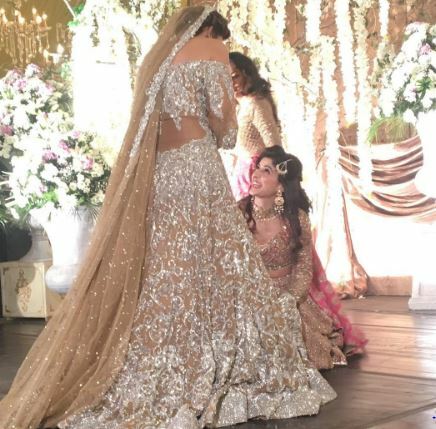 These Nikkah pictures will probably give you all something to look into when planning your own wedding. Take notes! Never apart. May be in Distance but never at Heart ?????????? @urwatistic #UrwaFarhan ????? #MyBabyBride #Nikkah #Hitched ???????? Where to bro ? #UrwaFarhan ?????? #Hitched #Nikkah #MyBabyBride ?????? S O U L S I S T E R ???? #UrwaFarhan ?????? @alixeeshantheaterstudio @divanipakistan @yrf @nabila_salon @samreenvance @irfanahson ???????? #Mawrahocane ?? Qawali Night ?? #UrwaFarhan ?????? @divanipakistan MUA @nabila_salon shot by @irfanahson ???????????? 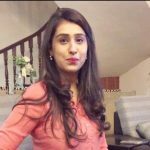 #MawraHocane ???? Breathtaking Decor by @qasimyar ???????????????? Their wedding was a series of magical tale that you’d fall in love with over and over again. We hope that they continue to be awesome in future just as they are now, these cuties give us all major relationship goals. Say MashaAllah you guys!